It's been said that when there's no more room left in Hell, the dead will walk the Earth! And that's just what?happens when Earth's Mightiest Heroes come face-to-face with various hordes of dearly departed heroes and?villains! Featuring the original Human Torch, the Swordsman, the Monster of Frankenstein and Count Nefaria - plus more cantankerous cadavers than you can shake an Uru hammer at! 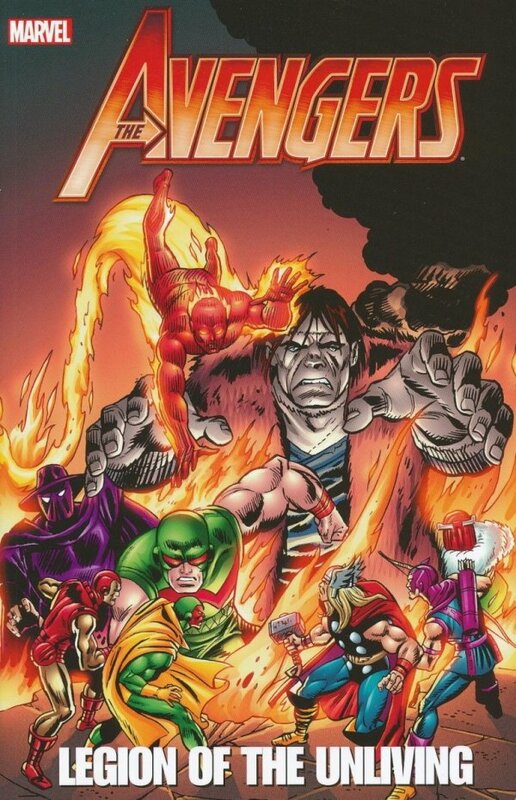 Collecting AVENGERS (1963) #131-132, #352-354 and ANNUAL #16; GIANT-SIZE AVENGERS #3; AVENGERS WEST COAST #61; and AVENGERS? (1998) #10-11.